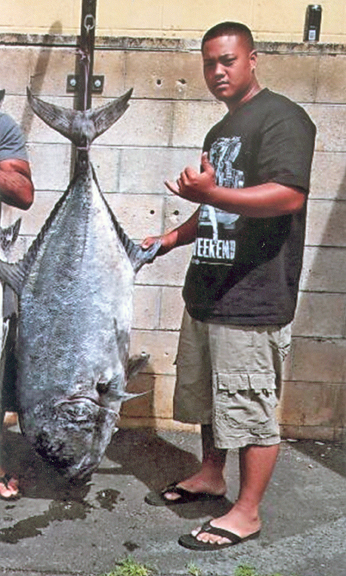 After his brother Kealii caught a 109-lb ulua in March of 2012, Imua was fired up to take on the big boys himself. Little did he know that is exactly what would happen in short order. On April 4, 2012, Imua battled a 112.5-lb behemoth using a 13-foot Nitro pole, a Daiwa 4/0 reel and 50-lb test Ande line. Welcome to the club, Imua!